First the heat of the cinnamon warms and relaxes, then the menthol from the peppermint kicks in for your own icy hot blend. 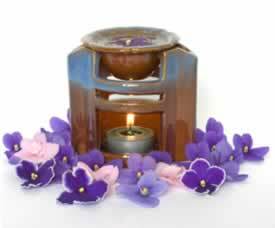 Recipe Instructions: Massage Oils/Essential Oil Blends :Use as a massage blend for pain. This is a strong remedy for hard to treat arthritis pain and muscle aches. Do not use on broken skin, sensitive skin or facial area. Don't be shy about adjusting the ratio of carrier oil to essential oils to suit your skin type. Arthritis :There are many other herbal medicines that fight inflammation and relieve pain; you will find the details on how to use them in the following pages. Massage Oils :The blend of the healing touch of massage and aromatic massage oils blends helps make self massage at home a powerful healing modality. Rheumatoid_arthritis :There are many herbal remedies that can help to ease rheumatoid arthritis pain ,and many have a long history of use.